Today at the pretty-craft.com we wil learn together how to crochet this lovely coat with no problems. 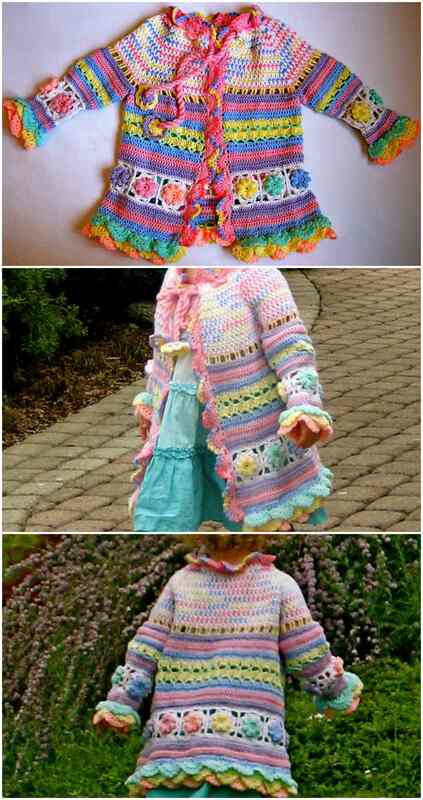 Here is a free pattern of this beautiful and colorful baby coat, using which you can easily crochet this beauty. Look at this coat and imagine how will your baby shine wearing this lovely coat. Everything in this coat is amazing, beginning from the design, ending with a colors combination and stitching. Let’s try togethet to crochet this beauty with this patter. Special thanks to Svetlana Mansmann for sharing thi lovely pattern for free, I hope she will continue sharing with us lovely ideas like this, wish you a good day!